1 aluminum rails 8 or 10 in. 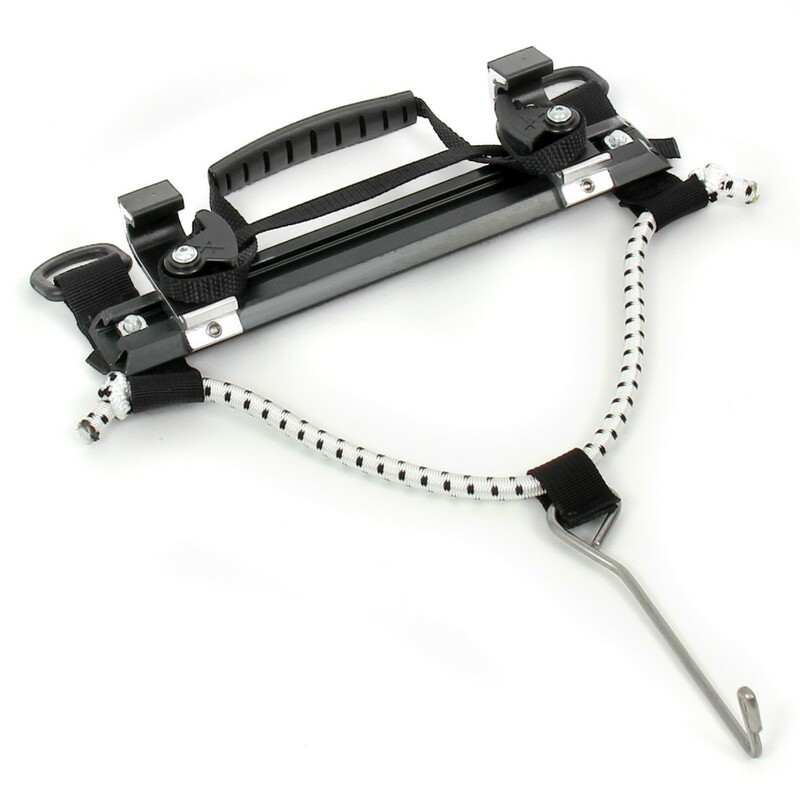 The Cam-Lock® hook kit comes pre-assembled and detailed mounting instructions are included. Just received the 10 in cam-lock system. It installed without a problem on my old and muched loved set of Cannondale panniers. The one thing I never liked about the old bags was the fact that they had to be zip-tied to the rack. Your system fixed all of that. Now when I ride to the gym or somewhere I have to lock my bike I can just click them off and take them with me. The system is completely adjustable, strong, versatile and I like them so much that when I buy a set of panniers for the front rack or another set for the rear they will have this set of mounts. The kit has very good workmanship and is very strong. My Kirtland panners required a small amount of modification, but no special tools are needed after installation. There are even spare attachment screws included.